6.5 oz. Fine peach twill with applique star. western style yoke. 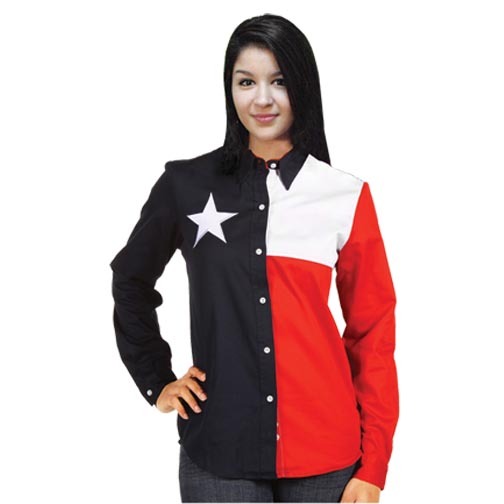 Styling & Fit designed for the Texas Lady.